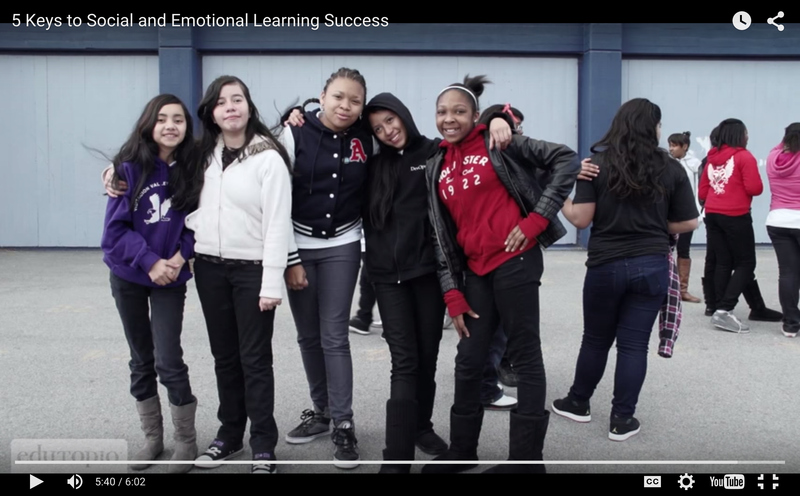 Rutgers University is pleased to announce the implementation of series of online courses leading to a certificate in instruction in Social-Emotional Learning (SEL) and Character Development (CD) in Schools and After-School Programs. This unique program is a non-credit program which offers all educational staff, school mental health professionals, and those working in after-school programs the opportunity to enhance their professional development skills in the field of Social-Emotional and Character Development. The General track program is composed of 3 courses, each addressing a different level of participation and delivery perspective of Social-Emotional and Character Development (SECD) competencies. The Accelerated track program is for those who have 5+ years of experience in the field successfully initiating and implementing Social-Emotional and Character Development in their setting. It is a 2-course program which will result in creating a portfolio documenting this journey. The certification in Instruction in Social-Emotional Learning and Character Development is one of two certifications offered by the Academy for SEL in Schools (SELinSchools.org), a collaboration of Rutgers University and the College of Saint Elizabeth. For Classroom Teachers and other in-school and out-of-school professionals working directly with children: We are offering a Certificate in Instruction of Social-Emotional Learning and Character Development Interventions, with a focus on the classroom, small-group, and after-school contexts. Other information can be found on this page and throughout this site, registration can be found here. Every professional working in schools should possess all the skills and attitudes needed to promote the social-emotional and character development of all children-- all meaning all-- in those schools, and should be prepared to make positive, constructive contributions to school climate and adult communities of learners in schools. The story begins with a belief that every child deserves to attend a school that is inspiring, challenging, supportive, safe and healthy, engaging, and build on mutual respect. Every child needs competencies for success beyond the test score—skills for the tests of life, a life of college, career, contribution, and caring. Someone has to take responsibility for schools to become cohesive and coherent places to accomplish the above goals. These courses and this credentialing program are designed to prepare you for that responsibility, but we don’t expect you to succeed on your own. You are entering into a community of mutual support and consultative assistance, a virtual Professional Learning Community, that will be at your side as you move forward. Within your country and around the world, people sharing the vision and goal want to move beyond the dream and into reality. By teaching the mind and encouraging the heart—in each other, as well as in our students—we can be successful. That is our unique pledge to you—you will be prepared to implement a wide range of social-emotional and character-based programs to your students, and you will also be joining others whose collective experience, wisdom, creativity, and problem-solving skills toward a shared goal will make each of us and all of us better. We are all instructors and students in the service of improving the lives and futures of all children entering schools. 103 – SEL - Practicum, the supervised and mentored experience in your work setting that solidifies and integrates your learning in 101 and 102 and connects you to an online Professional Learning Community of support, both during the course and in an ongoing way once you have earned the credential. 003 – SEL - Alternate Practicum, is only for those participants who have taken the face to face Live version of the SECD Online Courses. The Alternate Practicum is the supervised and mentored experience in your work setting that solidifies and integrates your learning in 101 and 102 and connects you to an online Professional Learning Community of support, both during the course and in an ongoing way once you have earned the credential. SEL 401 and 402 - for individuals with extensive experience in SEL and character education who desire a formal credential. Your effectiveness as an educator, and your ability to guide students toward success in school and careers, and both access to and completion of college, depends as much on students’ character and social-emotional competencies and the climate of the school as it does on how well your standards-based academic curriculum is carried out. Professional evaluations of anyone working in schools require them to have sound character and contribute positively to their work environments. You can wait until social-emotional and character development is mandated or you can prepare yourself now. The children would prefer you not wait. 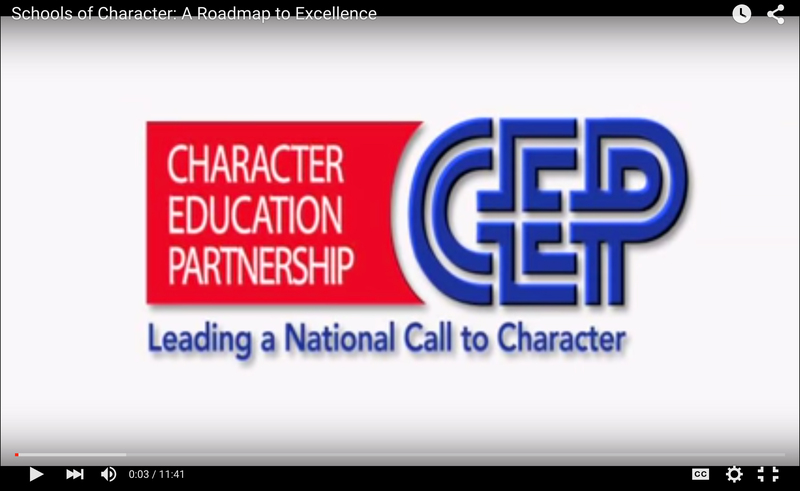 The credential in Instruction in Social-Emotional Learning and Character Development is one of two credentials offered by the Academy for SEL in Schools., a collaboration of Rutgers University and the College of Saint Elizabeth. Below, please find information on the Co-Directors of the Academy and the credentialing programs, and the primary instructors who will be teaching courses for the Instruction Credential. 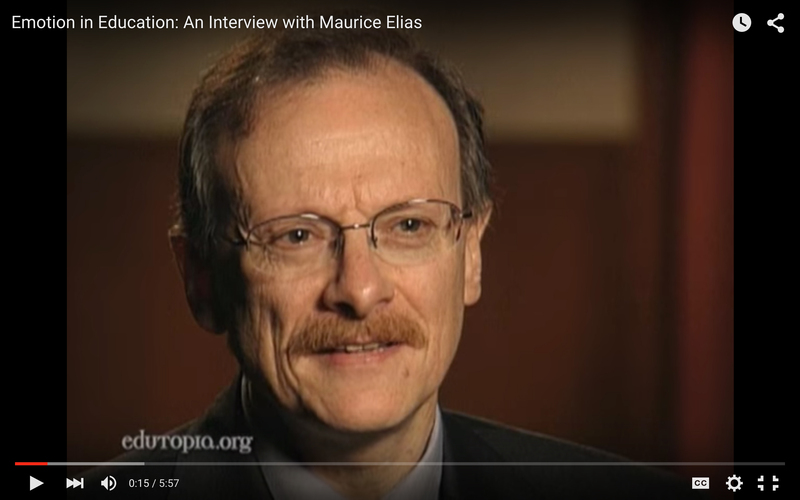 Maurice Elias is Professor, Psychology Department, Rutgers University, Director of the Rutgers Social-Emotional Learning Lab, and Academic Director of The Collaborative, Rutgers’ Center for Community-Based Research and Service. He is Past President of the Society for Community Research and Action/Division of Community Psychology (27) of APA and has received the SCRA Distinguished Contribution to Practice and Ethnic Minority Mentoring Awards, as well as APA’s National Psychological Consultants to Management Award, the Joseph E. Zins Memorial Senior Scholar Award for Social-Emotional Learning from the Collaborative for Academic, Social, and Emotional Learning (CASEL), the John P. McGovern Medal from the American School Health Association, and the Sanford McDonnell Award for Lifetime Achievement in Character Education. Dr. Elias lectures nationally and internationally to educators and parents about students’ emotional intelligence, school success, and social-emotional and character development. A recent recipient of the Sanford McDonnell Award for Lifetime Achievement in Character Education, among Dr. Elias’ numerous books are ASCD’s Promoting Social and Emotional Learning: Guidelines for Educators, the Social Decision Making/Social Problem Solving curricula for grades k-8, the new e-book, Emotionally Intelligent Parenting (via Kindle and Nook) and a book for young children: Talking Treasure: Stories to Help Build Emotional Intelligence and Resilience in Young Children (www.researchpress.com, 2012). Maurice writes a blog for the George Lucas Educational Foundation’s Edutopia Website. Patricia Heindel, Ph.D., co-project leader with Maurice Elias, Ph.D. of the Academy for Social-Emotional Learning in Schools, is a professor of psychology and Dean of Human and Social Development at the College of Saint Elizabeth (CSE). She is the Director of the CSE Center for Human and Social Development and the Center’s School Culture and Climate Assessment Lab. She is co-director of the School Culture and Climate Initiative delivered in partnership between the Center for Human and Social Development and the Youth Empowerment Alliance of the United Way of Northern New Jersey. The Initiative (modeled on the Developing Safe and Civil School Project led by Maurice Elias) is currently partnering with over 50 schools in 12 districts in Northern New Jersey to assess and improve their cultures and climates. She served as Psychology Program Chair at CSE for 21 years before becoming Dean. In 2007, Dr. Heindel was recognized as Teacher of the Year by the New Jersey Psychological Association. She has served as senior editor of the online Journal of the Behavioral and Social Sciences and is the editor of the CLEP test preparation manual in Developmental Psychology. Victoria Poedubicky Ed.S, MFT is a retired health educator and school counselor with 33 years experience from the Highland Park Public Schools. 20 of those years were dedicated to initiating, implementing and assessing the Social Decision Making/Problem Solving program through the health program, guidance counseling services, and school and district-wide initiatives as well as integration into the curriculum. She was instrumental in initiating, facilitating and supervising a Social Decision Making Lab, which is a teaching component assisting students in learning and strengthening social-emotional skills in a one-one or small group setting. Victoria has published several articles, provided workshops to parents and staff, taught a social-emotional learning course at Rutgers University, has served as a mentor to other teachers and counselors, and is a co-developer and instructor for the Online Direct Instruction in Social-Emotional Learning and Character Development for Teachers and Support Staff at Rutgers University. Erin Bruno, MA, has been working in the field of Social and Emotional Learning, Conflict Resolution, and Anger Management for more than 20 years. 16 of those years have been spent working as the Lead Trainer for Rutgers University, University Behavioral Health Care’s Social Decision Making/Problem Solving Program (SDM/PS). Erin has presented and worked with many schools across the United States and assisted in the writing and publishing of the Social Decision Making and Problem Solving Curriculum. Erin has worked extensively with administrators, teachers, mental health professionals, parents and students in the field of Social and Emotional Learning and continues to be inspired by the dedicated people she has had the privilege to work with. Lauren Hyman Kaplan, M.A, is a consultant, speaker, certified emotional intelligence coach and counselor in the field of social and emotional learning, emotional intelligence and bullying prevention. She is a former teacher and school counselor with over 18 years of experience training and providing consulting to schools around the United States and the world. She conducts presentations, workshops and provides on-going consulting to schools and parenting organizations and teaches the New York State mandated Dignity for All Students and SAVE violence prevention workshops for educators . She was a Regional Implementation Director for the Developing Safe and Civil Schools Project at Rutgers University, funded by the NJ Department of Education. She is a certified consultant to the US Department of Justice, Office for Victims of Crime, a Grant Reviewer for the US Department of Education and a certified Star Factor Emotional Intelligence Coach. Lauren is also the New York Network Leader for Six Seconds. She is an instructor at Bank Street College of Education and the co-author of the New York State "Interpersonal Violence Prevention Resource Guide for Parents and Educators." (New York State Department of Education, 2002). A certified teacher and guidance counselor with 30 years of classroom experience, Dr. MacLennan has been on the faculty of the Program in Counseling Psychology at the College of Saint Elizabeth since 2003. She was also a group counselor for victims of domestic violence at Morris County’s Jersey Battered Women’s Service before increasing her time as the college’s Social/Emotional Character Development Specialist. Dr. MacLennan is a member of the New Jersey Culture and Climate Coalition and is part of the professional development team of the Youth Empowerment Alliance at United Way of Northern New Jersey. Her workshop areas of expertise are helping teachers use emotional intelligence skills for student academic achievement and healthy emotional and social development, bully/victim prevention and girls’ relational bullying. Other audiences include guidance counselors and those in positions of educational leadership. Dara is a passionate educator, speaker, author, coach and consultant whose life-long goal is to transform our schools and the systems that support them into environments that embrace the love of learning with the recognition of self-worth. She is the author of, The Heart of Education: Bringing Joy, Meaning and Purpose Back to Teaching and Learning. As an ASCD Faculty Member, an International Institute for Restorative Practices Instructor, a Character.org Eleven Principles Trainer, a Jack Canfield Success Principles Trainer, a Virtues Project Master Facilitator and part of The Positive Schools Center Team at the University of Maryland’s School of Social Work, Dara has the honor and privilege of creating and delivering personal, professional and organizational development around the world, inspiring individuals to live more authentic, joyful lives, families to raise children of compassion and integrity, educators to create safe, caring and high performing learning communities & leaders to inspire appreciation and excellence in the workplace. Dara was honored as Disney’s 2005 Outstanding Elementary Teacher of the Year, Educator of the Year for the National Association for Self Esteem in 2009 and Maryland’s 2015 Mother of the Year. She is one of 10 teachers featured in the book, One on One with America’s Most Inspiring Teachers. In addition to 16 years as a classroom teacher, five years as an instructional technology specialist and three years as an instructional coach, Dara was the Director of Curriculum Development for PowerUP, where she worked to bridge the Digital Divide, an expert consultant with the USDE's Web-based Education Commission where she helped write The Power of The Internet for Learning, and co-creator of the Early Childhood Technology Literacy Project, which was nominated by Steve Jobs of Apple Computer and won the Computerworld Smithsonian Award in Education and Academia in 2000. Dara is the founding chairperson of the Virtues Project International Association, board member for The “V” Channel, past president of The Maryland Center for Character Education, past president of the National Association for the Education of Young Children's Technology Special Interest Forum, a member of the National Education Technology Standards Writing Team for Teachers, a Master Teacher for the National Teacher Training Institute, a Google Certified Teacher and an Apple Distinguished Educator. She was also a commentator for Ashoka’s Changemakers’ Competition - Activating Empathy: Transforming Schools to Teach What Matters. Dara received a Bachelor’s Degree in Elementary Education from the University of Maryland, College Park and a Master’s Degree in Education, Media, Design and Technology from Full Sail University in Winter Park, FL. She earned her National Board Certification in Early Childhood from the National Board of Professional Teaching Standards, a Certificate as a Success Principles Trainer from Jack Canfield and a Certificate in Restorative Practices from the International Institute for Restorative Practices. She is happily married and has 2 grown compassionate and service-minded children. The individuals below have served as advisors to all aspects of course development and credentialing, based on extensive experience with SEL. 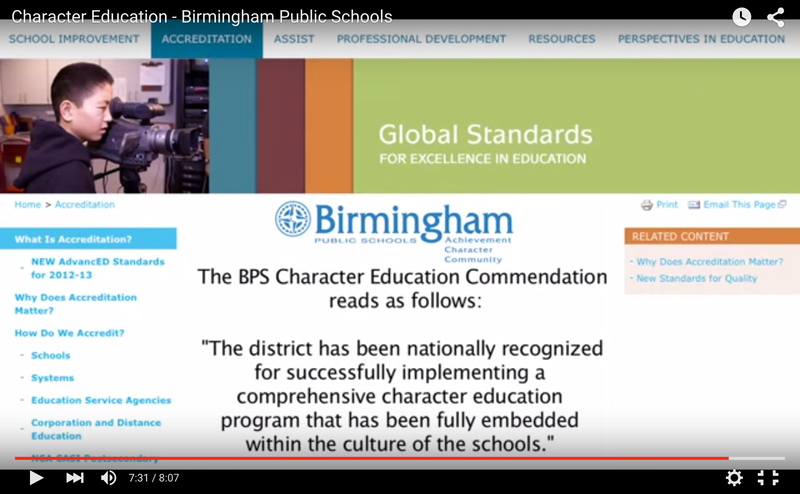 Character Education, and online learning. What is the Online Professional Development Community? What online capabilities will I need?